2018 has barely started but there’s already a whole lot of new stuff on its way to Paladins. Hi-Rez Studio’s hero shooter will receive a new batch of content in its next update, coming to PC on January 10. Paladins is getting a new battle royale game mode later this year. 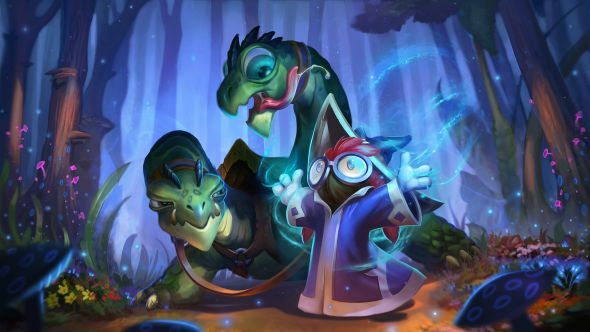 The update will include a new champion, Moji. The adorable new character will join the game as an assassin-esque Flank champion, and will ride into battle on a two-headed dragon. You can check out a video of both Moji and her dragon above. The new update will also bring a new game mode, Team Deathmatch. As you might expect, the focus here is on little more than killing, with only one team coming out on top. The new mode also comes with a new map, Trade District, which you can get a closer look at in the following trailer. Finally, Paladins is getting a new mount type. Battle Cats seem to be enormous felines that have been closely modelled on their distant saber-toothed ancestors. The first Battle Cat, Primal Prowler, will be available for free, exclusively to Twitch Prime members, who’ll also get access to a new regal skin in the form of Twitch Prime King Bomb King. You can check out both of them in action in what I promise is the last trailer pertinent to this article, although I have to warn you that the new skin is just as obnoxious as you might expect.